Bar|Scan provides complete barcoding solutions, including the sale of barcoding hardware. For service and repair information for these hardware products, please visit our Technical Support page. The MC55A0 is the smallest and lightest Zebra rugged EDA. It offers enterprise durability, manageability, security and scalability with styling and ergonomics. It is powerful enough to execute Bar|Scan and other mission critical applications. 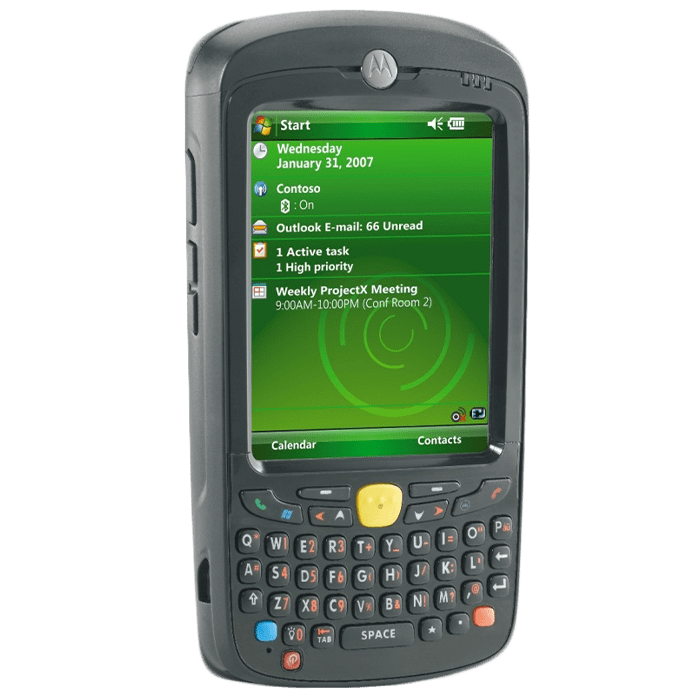 It uses the latest version of Bar|Scan, including downloadable prompt configuration files and connects via a USB port or send Bar|Scan data via Wireless LAN (Wi-Fi) or email via Pocket Outlook. Built for year round use in nearly any environment, with IP54 sealing and the ability to survive 4 ft./1.2 m drop to concrete. The Zebra MC3200 is designed to withstand everyday use. The handheld operates efficiently in hot and cold conditions. The MC3200 uses Android Jellybean OS. The MC3290 can be ordered and configured for integrated WiFi connectivity. The Zebra MC9190 is designed to withstand rugged environments. The readers operate efficiently in hot, cold, wet and even dusty conditions. 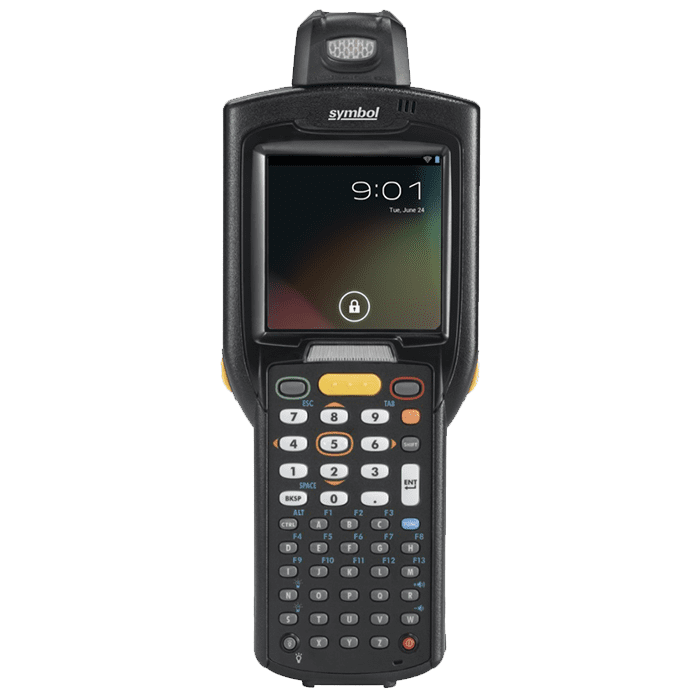 The MC9190 uses Windows MobileTM based computer with integrated Wi-Fi connectivity. 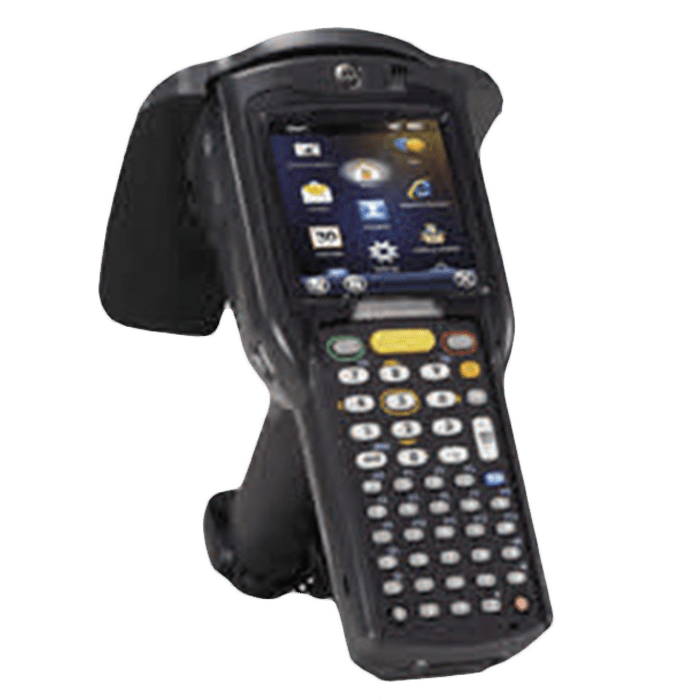 The Zebra MC3190-Z RFID provides RFID tags, and capture 1D and 2D bar codes as well as images. Rugged construction and optional pistol grip for extreme environments. Runs Windows® MobileTM 6.5. Optional Wireless LAN (Wi-Fi) to maintain Bar|Scan. Bar coding is an optical equivalent of Morse Code which allows asset numbers, locations, organizations and other descriptive information to be gathered with keyless data entry that is simple, rapid, and more accurate than traditional manual data collection. 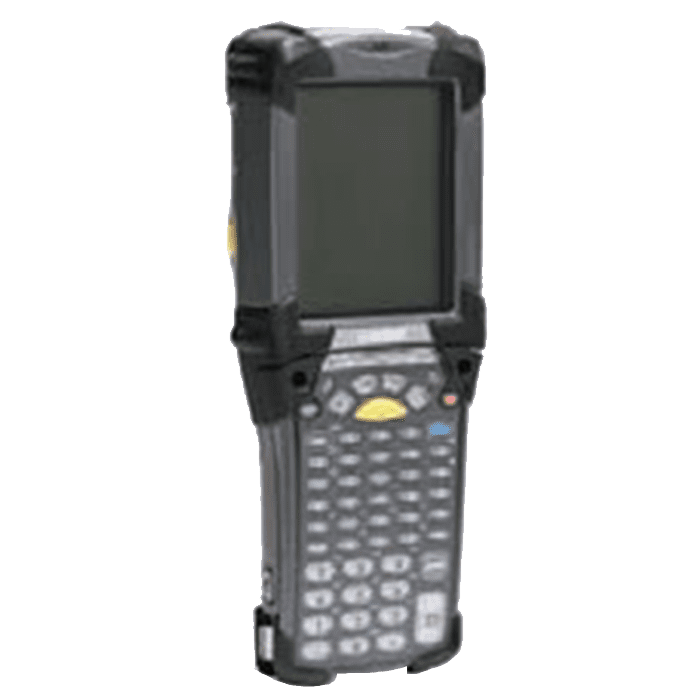 Portable bar code readers makes it possible to go to the assets instead of relying on the information to get to you. An even greater benefit occurs after the assets have been labeled. Subsequent inventories can be completed in as little as 20% of the time of the initial inventory.